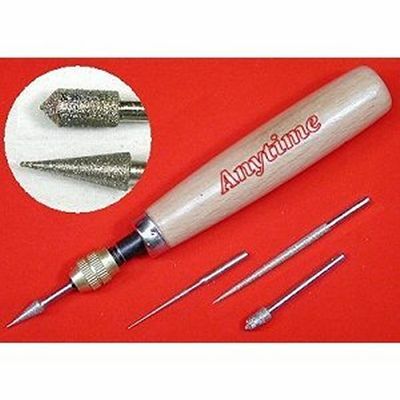 A collet and wood handle with 4 diamond grinder files. Use these to smooth out holes in beads to avoid fraying thread. With softer materials, these can be used to slightly enlarge a hole.